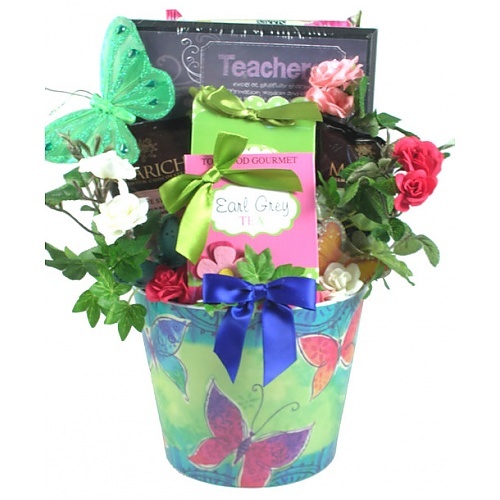 This gift arrangement just for teachers will help you to show your love and appreciation to the special teacher in your life. Packed full of irresistible goodies and special gifts, they will be overjoyed with their special gift! Teacher appreciation gifts come in all sizes but this one is thatspecial one that shows you put some thought into your child's teacher gift.